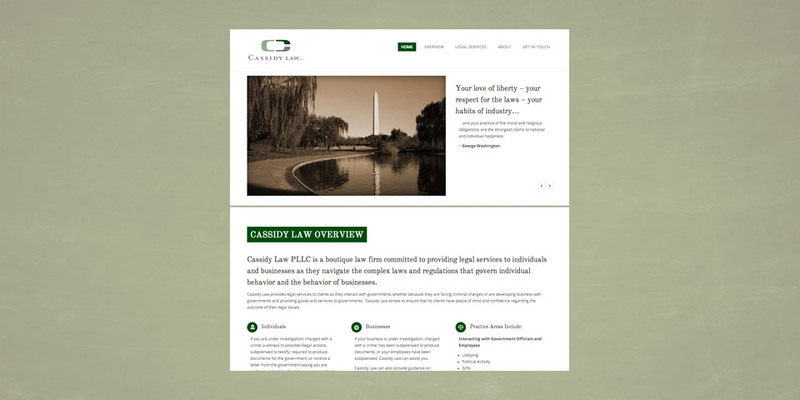 Cassidly Law brings a unique track record to each client engagement including experience in compliance leadership with multinational organizations and years serving as a prosecutor. This pedigree required a simple website that was sophisticated easy to navigate. Cassidly Law turned to Boom Creative. The result was a website that was smart and powerful.